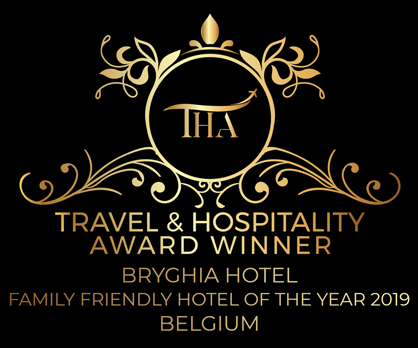 Bryghia Hotel offers an impressive array of different types of rooms. From twin, double and family rooms to rooms with a canal view - the sweetest dreams are guaranteed! Our twin rooms, with an average room size of 15m² / 161² ft, can accommodate up to two people, offering comfortable twin beds provided with all the essential facilities such as bath/shower, toilet, hairdryer, free WI-FI, digital TV, telephone, safe and a refrigerator including bottles of water upon arrival. With an average room size of 15m² / 161² ft, this is the perfect room for couples. Our double rooms can accommodate up to two people, offering a comfortable double bed provided with all the essential facilities such as bath/shower, toilet, hairdryer, free WI-FI, digital TV, telephone, safe and a refrigerator including bottles of water upon arrival. Spend a romantic time in our double room with canal view. This spacious room of 18m² / 193² ft can accommodate up to two people, offering a comfortable double bed provided with all the essential facilities such as bath/shower, toilet, hairdryer, free WI-FI, digital TV, telephone, safe and a refrigerator including bottles of water upon arrival. Our spacious family rooms, with an average room size of 21m² / 226² ft, can accommodate up to three people, offering a combination of a comfortable double bed and a single bed provided with all the essential facilities such as bath/shower, toilet, hairdryer, free WI-FI, digital TV, telephone, safe and a refrigerator including bottles of water upon arrival.